Home / email marketing / targeting / I Want to Target Top CEO’s and Business Leaders in Sri Lanka. What’s the Best Email List? I Want to Target Top CEO’s and Business Leaders in Sri Lanka. What’s the Best Email List? Well, this was a question asked from me just today, by a colleague working for another Ogilvy discipline in Sri Lanka :-). Of course this wasn’t a question she had; she just passed this question to me when a client of her pointed the question at her. I did answered her question, explaining why I cannot recommend such a silver bullet email list solution to target all the top business executives, CEO’s, CFO’s and CMO’s in Sri Lanka. I’m not going to re-post my answer here but the point of this blog post will be about this primitive thinking behind most marketers about targeting their audiences. 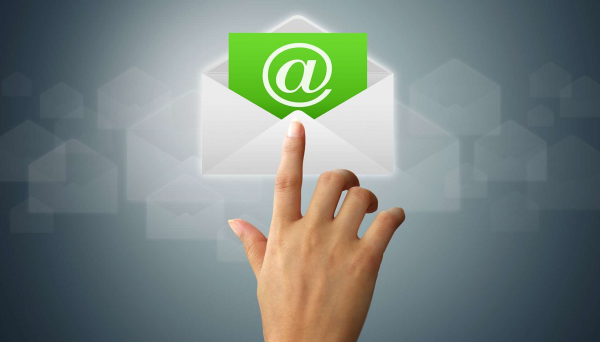 For most marketers in Colombo, eMarketing or digital marketing still means sending out an email blast to a list of addresses. While email marketing can be a real effective way of communication, the way it is abused in Sri Lanka by some of these ‘email list marketers’ is pathetic. They come up with a list of 100,000 or 200,000 email addresses (they say, but nobody have seen the list) and sell it to these unsuspecting customers at Rs.2,500/- or Rs.3,000/- a blast who believes once an EDM is sent to one of these lists, it will actually receive those 200,000 addresses. When we start working with many new clients, they automatically want us to have these EDM shoots in their emarketing mix. We explain them the ineffectiveness of these shoots, but rarely people understand and tell us “It’s just Rs.3,000; why don’t we give it a try”. Like that, they spend Rs.3,000 into 4 to 5 shoots with 3 different list owners which makes their monthly budget on these list shoots about Rs.45,000/-. Still cheaper than what you will spend to buy a 20 seconds spot on TV, right? But have you really measured the effectiveness of these campaigns? In the past we have asked for click through reports and open rate reports from these email list marketers for some of the campaigns they did for our clients. They never support their campaign performance with such trustworthy reports. Then we used Google Analytics UTM tags to track clicks coming from these EDM’s to our clients’ websites. After doing this with multiple list suppliers for multiple campaigns we realized a shocking fact. An average EDM shoot which cost you only Rs.3,000/- only attracts 17 clicks in average to your website. We once showed this analysis to a client who used to do email shoots for so many years without measuring the effectiveness. The marketing team suddenly realizes the point we have been trying to make, and immediately decided to discontinue this ineffective tool. But yet, in most of the companies the marketers still trust email databases as an effective way of doing online marketing. They don’t understand the fact that these are unsolicited, non-opt in, spam email addresses they are dumping EDMs. It not only damages the image of whichever the brand uses this method of communication, but also shows how primitive your company’s digital strategy is. If your brand is backed with a proper digital strategy, and if your digital presence is managed by properly qualified people, you will not ask questions like “what’s the best email list I can use to send EDM’s to CEO’s and CMO’s in Sri Lanka?”. Instead you will ask better questions like “how can I target CEO’s and CMO’s in Sri Lanka more effectively?”. For questions like that, a good digital marketing consultant will have many options as answers. Even with repeated explanations about ineffectiveness of EDM list marketing method, some of our clients still brief us to use this technique. I have realized they want us to do these EDM shoots foe one or more of the below reasons. 1. It honestly works for them in one way or another. Good for them! 3. My boss checks promotional emails. If he doesn’t see our EDMs in his inbox (spam box) he blames us not doing “digital” right. Finally, to end this post let me say one thing. We live in an era where pin-point targeting is a reality with various precision targeting methods made available by advanced digital advertising tools. Sending EDMs to a list of unsolicited email addresses is not a digital strategy. There are no such email databases which will guarantee you reaching top CEO’s and CMO’s in Sri Lanka. If you want to do proper email marketing, spend some decent budgets, subscribe for some decent tools, pay for a decent agency/consultant, and do it the right way. There are no short-cut solutions to implement a proper digital strategy.